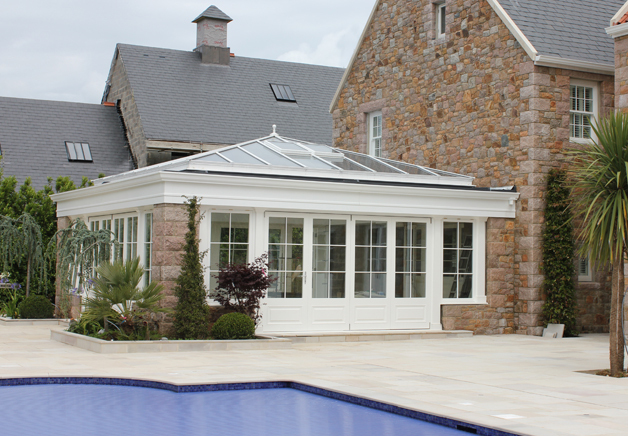 No orangery or sunroom project is complete without the final finishing touches that provide true marks of distinction to really differentiate completed installations and add that desired touch of elegance. Signatura, and Moderno are stylised concepts manufactured by Orangery Solutions in powder coated aluminium to provide only the best in terms of style and durability. 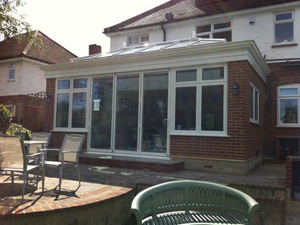 Most orangery and sunroom manufacturers produce these products from assorted pvc-u plastic trims which, after a period of time are prone to deterioration. This means they can warp, fade and discolour and offer no true lasting guarantees in respect of durability. 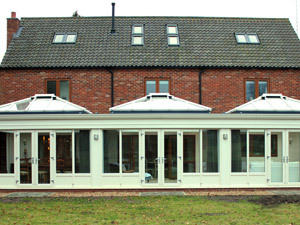 Our range of orangery fascias and cornices are manufactured in powder coated aluminium or GRP to the highest industry standards and have been designed to complement individual orangery styles and design requirements perfectly, providing complete peace of mind for the finished project. Whether traditional or modern our suite of products has been designed to complement any property style.